The Sandton Convention Centre, Johannesburg, plays host to The Solar Show Africa on March 26th and 27th. Africa is one of the most dynamic markets for solar energy in the world and the show will feature products and seminars for information hungry visitors. 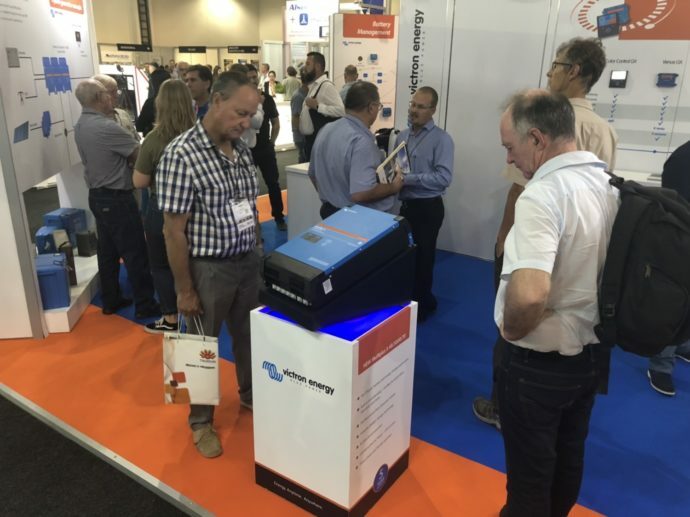 Victron Energy will be showcasing the new 48/5000/70 MultiPlus-II – the ideal inverter/charger for both grid-tied and stand alone energy systems. Find us on stand B51, which is on the second floor of the ‘Clean Energy Hall’. Africa’s climate, and its spread-out communities which are hard-to-reach with infrastructure combine to create a huge demand for private mini grids, and ultra reliable energy storage systems. With its Anti-islanding software the new MultiPlus-II is already in high demand. We’re delighted that show organisers Terrapin have chosen to highlight the MultiPlus-II in their show guides. The full range of Victron’s Solar Power generation, control and monitoring hardware will also be on show. 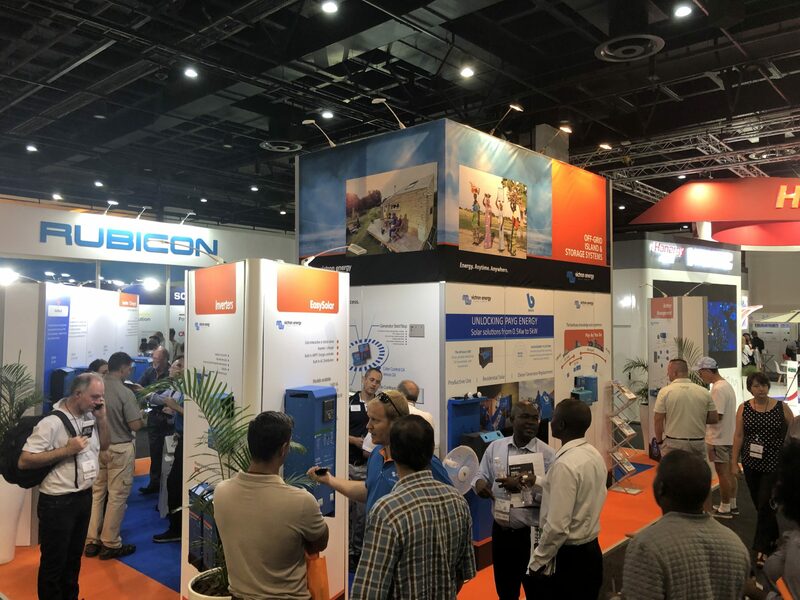 Andre du Rand, Area Manager for Southern Africa says: In addition to Victron products we will be displaying unique Hybrid Generators with the Elum Energy Management software solution along with a Pay-As-You-Go solution from Bboxx. 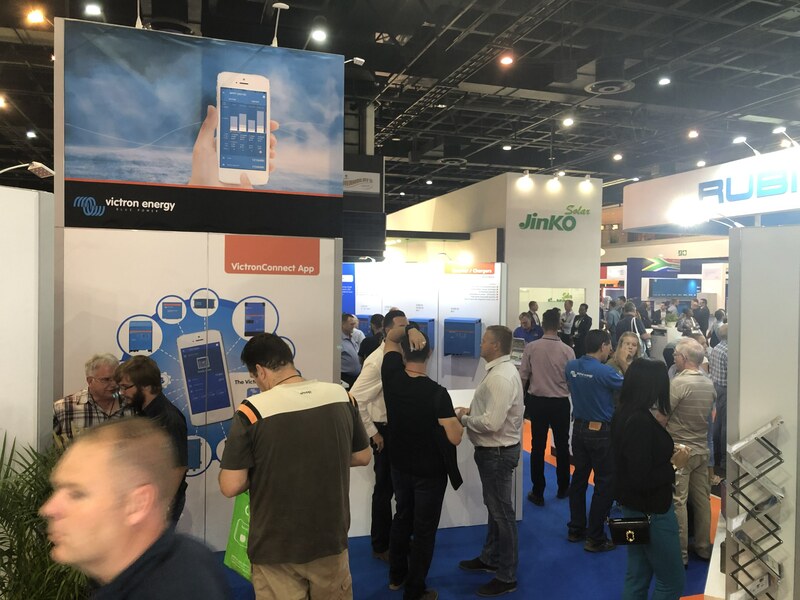 Part of the Power and Electricity Africa Conference – Solar Show Africa brings together information, solutions, and service providers all under one roof.